Arsenal have offered an injury update ahead of our trip to Newcastle this weekend including the latest on Alex Iwobi, Sead Kolasinac, Ainsley Maitland-Niles, Carl Jenkinson and Laurent Koscielny. Iwobi sat out the win at Cardiff City before the international break and didn’t feature for Nigerian in either of their games over the past fortnight due to illness but the midfielder is back in full training and available to face the Magpies. There has been some encouraging news Kolasinac as the left-back is making excellent progress in his recovery from a knee injury that’s kept him out of action so far this season. The Bosnian was initially not due back until some point in October but he’s now expected to resume full training at the start of next month. In a triple boost, the club have also revealed that Maitland-Niles is well ahead of schedule in his recovery from a fractured leg and the youngster is now expected back in training in early October having initially been ruled out until November. Koscielny has been stepping-up his rehabilitation in recent weeks as we’ve seen footage of him practicing with the ball on the training pitches but the defender is still a long way from full fitness and won’t return to training until November. The final update was on Jenkinson and the forgotten full-back is still working his way back to fitness after suffering a serious ankle sprain at the end of pre-season. 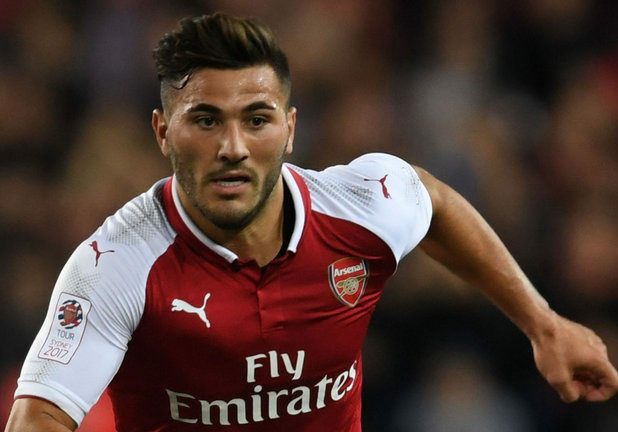 It will be great to have Kolasinac back soon as we’re currently low on options behind Nacho Monreal at left-back and the games are going to come thick and fast over the coming weeks with the cups kicking off so Unai Emery will be glad to have the Bosnian available again next month.